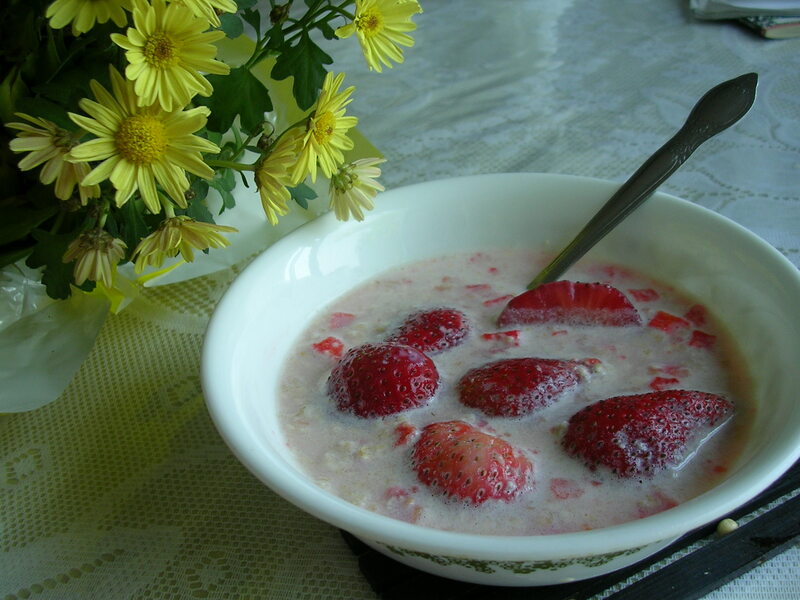 Another breakfast of instant oatmeal with milk, except this time I decided to throw in some of those delicious strawberries into the oatmeal, and that made it so much more fun to eat haha. I'm also in love with the daylight that we get in our kitchen, it makes taking pictures so much easier. Leftovers from last night, mainly just rice with the zucchini and mushrooms and more napa with crab. It was really hot out today, it got up into the 90s. 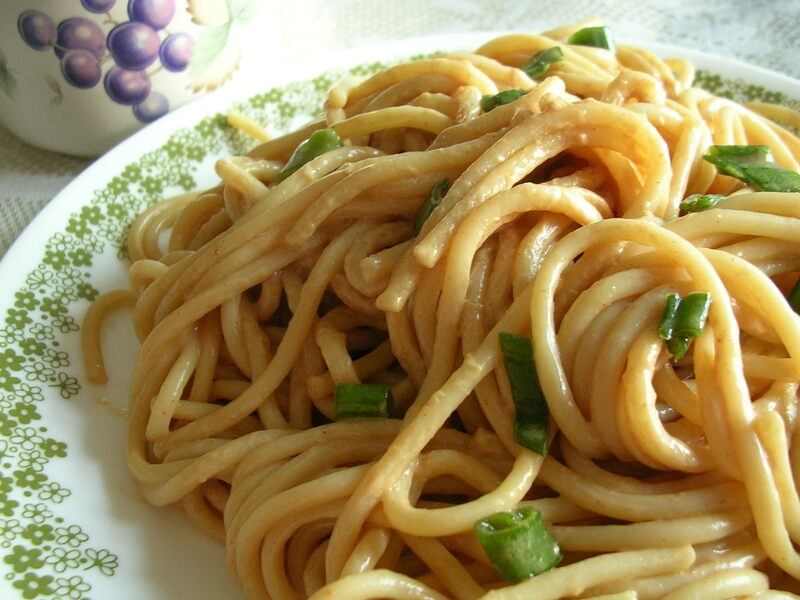 Nobody in my family was particularly interested in a hot meal, so my mom made a popular Chinese dish called cold peanut sesame noodles (recipe below). We make it using spaghetti, and the sauce is made from peanut butter, hoisin sauce, soy sauce, sesame oil, and a tiny bit of vinegar. It's a really simple dish to make, and particularly refreshing on a hot summer's evening. Throw in some veggies for a side dish and you've got yourself a meal. Boil noodles of your choice (we used regular spaghetti) until al dente. Strain and soak in cold water for 5 minutes before straining again. Toss with sesame oil to taste (sesame oil is very strong, so only use a little bit at a time so as to not overpower the sauce later). To make peanut sauce (for 4 servings): stir together 3 tbsp of peanut butter, 1/2 tbsp of hoisin sauce, 1/2 tsp of vinegar, and 3 tbsp of water. It takes a while to get everything well blended, and you may have to add more peanut butter or water to reach a desired sauce consistency. I usually make mine until it has the consistency of tomato sauce, so that it's easy to coat the noodles with. You can adjust hoisin sauce and vinegar to taste. This entry was posted on Wednesday, May 30th, 2007 at 5:46 pm	and posted in Chinese, fruit and nuts, recipes, Uncategorized. You can follow any responses to this entry through the RSS 2.0 feed.